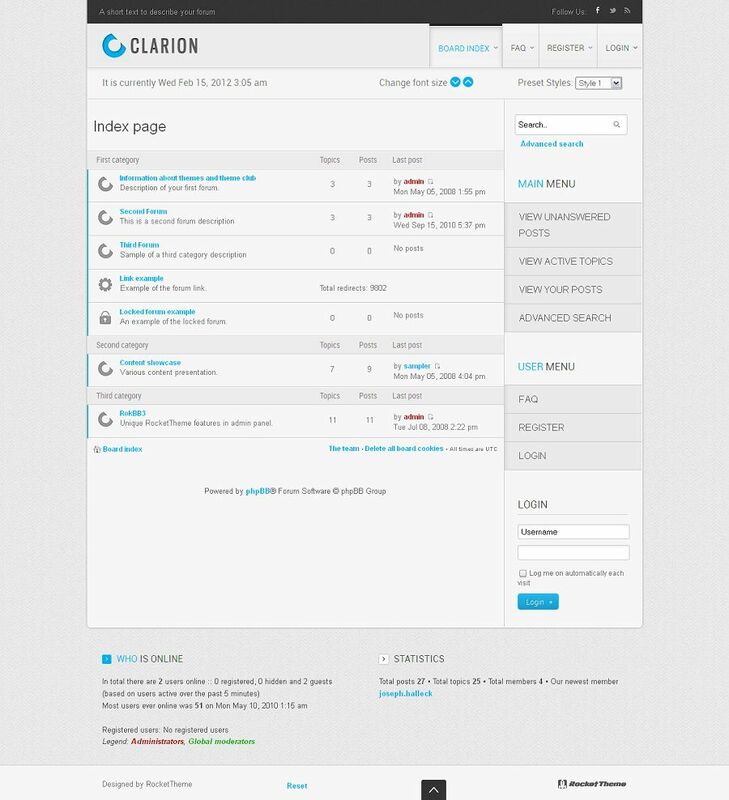 Clarion is a premium phpBB3 style from RocketTheme, primed for business use or as a platform for extensive individual customization. It has a range of powerful, flexible and intuitive features and functions including Color Chooser based imagesets. Refreshed administrative interface offers a user friendly control panel for intricately customizing the template layouts.